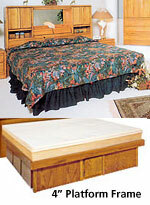 Magnolia Furniture Group Fast Free Shipping! 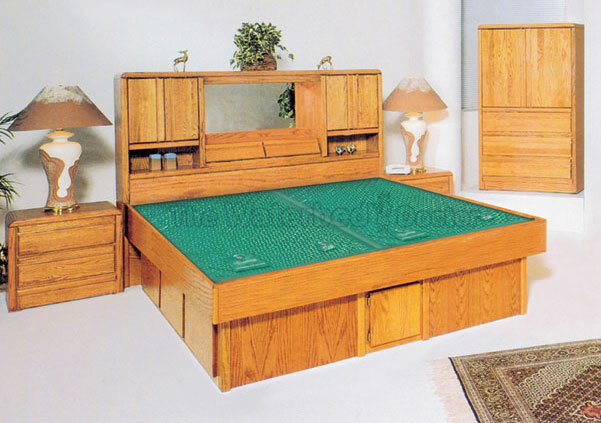 The Magnolia waterbed provides the high quality and durability of solid oak. The oak bookcase headboard offers the function and storage required in today's bedrooms. Features two side cabinets, two built-in curio lights, and two pull down doors underneath the center mirror for additional storage.